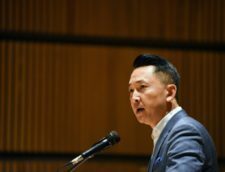 Viet Thanh Nguyen discusses Asian-American influence in Orange County for the 2018 midterm elections in this op-ed for New York Times. When I was a freshman at the University of California, Riverside, in 1988, I drove a carload of excited fellow Vietnamese students to nearby Orange County. It was only 13 years after the end of the Vietnam War, but already there was a Vietnamese American Dream, symbolized by our destination, the Asian Garden Mall in Westminster. To the strains of Vietnamese pop music, we ate Vietnamese food, browsed Vietnamese goods, and sat in the balcony of the American-style mall, sipping Vietnamese iced coffee while we watched Vietnamese people. The mall was the heart of the Little Saigon in Orange County. By 1988, Little Saigon was already firmly established, with multitudes of Vietnamese shops, restaurants and businesses lining Bolsa Avenue. This community was populated with Vietnamese and ethnic Chinese refugees who had fled the end of the war. It was deeply anti-Communist. Orange County as a whole was also anti-Communist and quite conservative, but it was also very white at the time. 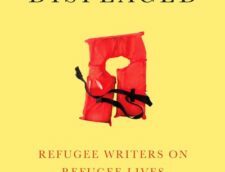 The arrival of so many refugees from Vietnam in the 1970s and 1980s was not welcomed by everyone in Westminster and Orange County. Thirty years later, Westminster has a Vietnamese-American mayor, and Orange County has elected several Vietnamese-American politicians. Most have been Republicans, and vocally anti-Communist. But Communism is no longer the national issue it once was, and while the older generation of Vietnamese-Americans tends to be Republican and conservative, the younger generation has largely abandoned the Republican Party, either to become Democrats or independents. These shifts point toward larger changes in the once staunchly Republican Orange County, which is today leaning more Democratic and independent. The political changes are at least partly due to demographics in a county that is now one-fifth Asian and one-third Latino, whereas in 1980 four out of five residents were non-Latino white. This mix of demographics and ideology in Orange County may be one of the prime reasons the Republican Party is committed to an anti-immigration agenda that seeks to turn America back to before 1965. 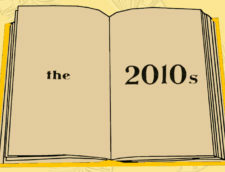 It was then that a new law, the Immigration and Naturalization Act, created a more equitable immigration policy. For decades before, the United States had kept people out who came from Africa, Asia or Latin America, beginning with the 1882 Chinese Exclusion Act. If you hail from one of those continents, the 1965 Immigration Act has mostly been a success. But for the Republican Party, whose base has been mostly white for years, the prospect of a majority-minority country that has arisen after 1965 might spell political decline. In Orange County, there appears to be a correlation between a rising minority presence and the declining power of the Republican Party. Given how Republican congressional control might hinge on a small number of seats, several of which are in California, including four in Orange County alone, local politics here could have national significance. Political influence would be a new thing for Asian-Americans. Cubans in Florida, after fleeing from Communism as the Vietnamese did, have wielded outsize national political significance in part by voting as a solid conservative bloc. 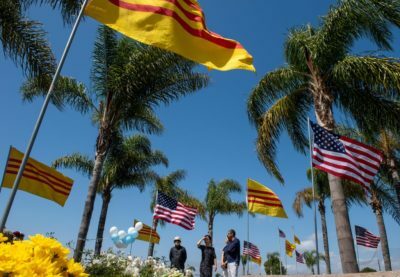 As part of an Asian-American bloc in Orange County, could the Vietnamese — and Asian-Americans in general — finally become a courted swing vote for both parties? For the Republican Party, the late-20th-century alignment of anti-Communism with conservative economic and social values appealed to many Asian immigrants and refugees, including my parents. But that alignment has fallen apart. My 84-year-old father is still anti-Communist, but has a dim view of Donald Trump. He’s not alone. Mr. Trump won only 18 percent of the Asian-American vote and 32 percent of the Vietnamese-American vote. Even many Asian-American Republicans are finding it hard to remain supportive of the party because of its opposition not only to refugees and undocumented immigrants, but to many documented immigrants as well. A proposed federal regulation known as “public charge,” for example, would deny green cards to legal immigrants who use food support programs, Medicaid and other federal aid programs. Such immigrants could be deported. Now President Trump is proposing to abolish birthright citizenship. While it might be difficult for him to do that, many Republicans are pushing to sharply restrict family reunification in favor of so-called merit-based immigration. Forget for the moment that a “merit”-based policy would have kept out many white immigrants of earlier generations, as well as recent Asian immigrants. Family reunification has brought many Asian immigrants into this country and helped to make Asian-Americans the fastest growing minority population. If the Republican Party vastly restricts family reunification, it could be dead to an overwhelming majority of Asian-American voters. The idea of Orange County, and even Little Saigon, becoming enthusiastically or even reluctantly Democratic appeals to me, who only travels to Orange County for the great Vietnamese food — the best outside of Vietnam, just as the county is home to the largest Vietnamese population outside of the homeland. But if the Democratic Party assumes that demographics equal political fate, it may be in for disappointment. This is because the Asian-American community is diverse in so many ways, including in its political beliefs and passions. In Orange County, one of the largest mobilizations of Asian-American voters happened in opposition to a county attempt to house homeless people in each of the county’s cities. Asian-Americans in tonier places like Irvine were vocal in rejecting the county plan. The Vietnamese-American leadership of Westminster went against California’s sanctuary state status. Nationally, the issue of affirmative action in college admissions, particularly in the Ivy League, has fractured the Asian-American community. While most Asian-Americans support affirmative action, many Chinese-Americans do not, and they have been vigorous in their opposition. Property and education, in Orange County and nationally, thus remain possible ways that the Republican Party can appeal to Asian-American voters. The Orange County columnist Gustavo Arellano argues, “The Republican Party can survive in an increasingly diverse America if it makes Asians ‘white.’” The seduction of whiteness has long been there for Asian-Americans, some of whom have periodically sought alliance with whites, and vice versa, ever since plantation owners in the 19th century brought Chinese workers to the South as possible replacements for black workers. Such tentative seductions have generally been undermined by events like Japanese-American internment and the Vietnam War, which convinced many Asian-Americans that they were not white. Today, once again, the Republican Party is fumbling another opportunity to appeal to Asian-Americans who are willing to align themselves with whiteness. And that’s because its coded racial appeals to Asian-Americans on middle-class issues like education, clean streets and safe neighborhoods are being drowned out by its coded racial appeals to whites on immigration.